WITH interest rates low, 13above.com takes a look at what that means for your mortgage, your savings and the prospect of dipping your toe back in the share market. 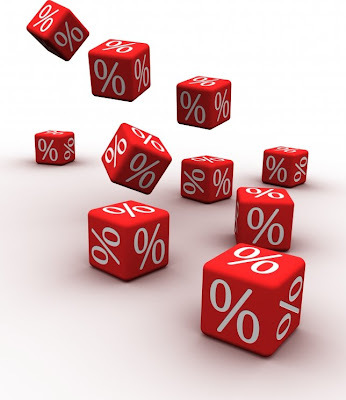 Interest Rates Dice : Low rates ... Use extra cash from interest rate cuts to keep paying off your mortgage, say financial planners. The Reserve Bank left interest rates unchanged at 3.25 per cent at today's meeting. The decision surprised economists, who were tipping a cut of between 25 and 50 basis points. 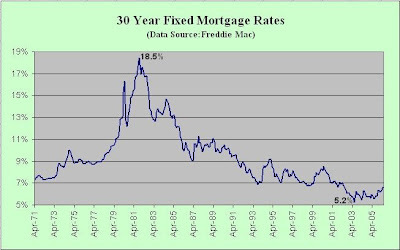 With rates on pause, is now the time to lock in a fixed rate mortgage? Give it a few more months, since rates could fall further, says Prescott Securities chief economist Daryll Gobbett. "I think we’re looking at a cash rate of 2 per cent or 2.25 per cent. Not tomorrow, but maybe by May,” says Mr Gobbett. Existing fixed rate deals don’t hold great appeal anyway, says Count Wealth financial planner Desiree Fraser. She advocates using fixed rate mortgages to shield yourself when you know you can’t afford a bigger monthly repayment – not for second-guessing the future. "If you know you can’t afford interest rates to go up another 3 per cent, lock it in now. So use it as a protective mechanism,” she says. "Do it on the basis of what is affordable to you, rather than what you think will happen in the future." Keep putting extra cash from a rate cut towards your mortgage. "The best advice to give when interest rates are falling is to maintain your payments at the high interest levels,” says Heraud Harrison private client adviser David Marasea. "Don’t reduce the payments just because interest rates have gone down. You’d be surprised at the compounding effect." Paying down a mortgage at 6 or 7 per cent is a better deal than socking it away in cash and earning just 3 per cent interest, says Mr Gobbett. "Keep chipping away at that mortgage,” he says. People who yanked money out of the haemorrhaging share market last year now face dwindling returns on their cash as interest rates tumble. Term deposits that paid 7-8 per cent late last year have fallen to around 3 per cent – less than the inflation rate of 3.7 per cent. Australians have upped their savings from zero to 4 per cent of income as nerves about the economy dampen the urge to spend, but are hardly earning anything on that cash. So should they consider investing that money instead? "It depends on why they’re saving,” says Mr Gobbett. "It really comes down to if people are saving for a house or something for the next 12 -18 months, (or) keeping that money (as) savings or term deposits because of the risk." Those looking to the longer term should consider shares offering good dividends (some give an 8 per cent return), instead of tiny interest returns, says Mr Gobbett. "If saving for retirement or lifestyle, they should start looking at bank shares where they will get a better level of dividend, even with cuts we’ve seen with ANZ lately,” he says. Ms Fraser says things are tough for savers. "They’re getting hit quite hard,” says Ms Fraser of people who parked cash in what used to be high-interest accounts. Rates will stay low, so look at your spending and consider if you need the income from savings to live on. Ask yourself what your priorities are. If protecting your capital isn’t important, you might be better off spending the money and rebuilding savings later, Ms Fraser says. 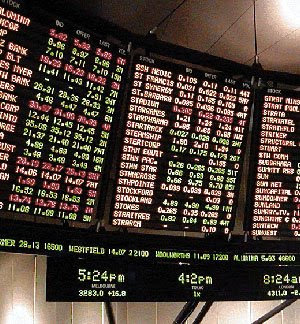 Low interest rates discourage savings, but with the ASX at five-year lows, is it a good time to invest in shares? What about borrowing to invest now that rates are low? "Obviously there is still so much concern in the general public about what’s going to happen and when it’s going to occur,” says Ms Fraser. "There is no end goal. No one can tell them when the market is going to recover." Few clients are showing up with a pool of cash to get into the market, she says. Mr Gobbett urged caution with margin loans: they can burn you if you pick the wrong market bottom. "Just be a bit careful at the moment,” he says. "The problem is that if the market falls further, you have to tip more money in." If you do invest, focus on companies paying good dividends or consider buying into new share offerings by big companies, often at a discounted price. Commbank invited retail investors to buy in with just $1000, and Wesfarmers offered shares at a few dollars discount. Many banks are still paying good dividends, he says. "Twelve or 18 months ago, it would have been quite risky, but now all shares are down, even ones that are good value. So it may be time to buy into some share offerings that are offered at discounts," he says. The market is always a good long-term bet, says Ms Fraser. "I think it’s appropriate as always for people with a long term horizon, say seven years, who don’t require it for income and don’t need the capital,” she says. "It depends largely on your risk tolerance and your investment time horizons. If you’ve got the next 20 years to invest, then you’ve got to accept the share market represents value, even if it goes lower," says Mr Marasea.